Parbold Village Hall was in need of transformation in order to meet the communities needs and to maximise its use as a viable venue for all to enjoy. Parbold Community Association, a registered charity that manages the hall for the community, has completed a number of projects that have utilised LCF monies, qualifying under Object D - to provide, maintain or improve a general public amenity. 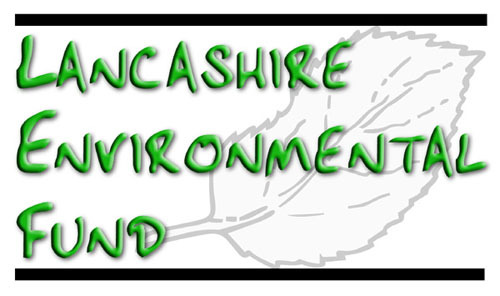 The Environmental Bodies which made the awards to these projects were Lancashire Environmental Fund, The Cory Environmental Trust in Britain and The Ibstock Cory Environmental Trust. One aim was the creation of an adaptable auditorium, with tiered seating, acoustic curtaining and auditorium lighting, ideal for meetings and performances inclusive to all, including the young and elderly and thereby transforming the hall’s use, while retaining its existing use for sports and groups. The venue was also made more accessible to all of the community by ensuring full disabled facilities were available and that audio and visual equipment was provided for classes and the village cinema with a multiplex-size screen, HD projection and surround sound. A sustainable infrastructure was another aim, creating an economical building through energy efficiency and reduced costs by installing improved heat insulation and lighting solutions to conserve energy and to increase community use all year round. The residents of Parbold are now able to enjoy a village cinema with music and drama events in the hall, which allows the community in this rural area to enjoy cultural activities, from which they would otherwise be isolated. to refurbish the hall in a sustainable way. Parbold Village Hall is a great asset to the local community and to people from nearby villages and the wider district as it continues to be used on a daily basis for conferences, exhibitions, meetings, sports, recreation and private functions. This local venue is now home to Douglas Music, a village-based registered charity, which presents an annual season of music events of all kinds for the whole community and beyond, and features international ensembles and artists who also enjoy performing in the transformed auditorium’s welcoming atmosphere. Parbold Picture House, the new village cinema based in the hall, has also won the 2010 British Federation of Film Societies’ national award for the Best New UK Film Society (Community Cinema) which demonstrates how the hard work of all those involved has created an award winning community venue for all to enjoy.